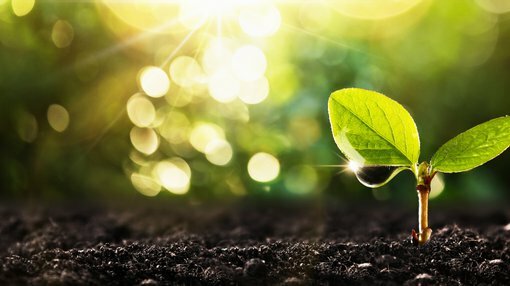 Ag-tech play, Roots Sustainable Agricultural Technologies (ASX:ROO), has been granted an Australian patent for a key part of its unique Root Zone Temperature Optimisation (RZTO) technology. ROO is creating disruptive, modular, cutting-edge technologies to solve major problems in modern agriculture, including plant climate management and the shortage of water for irrigation. Its RZTO technology optimises plant physiology for increased growth, health, productivity and quality by stabilising the root zone temperature of the plant in question. The patent crystallises ROO’s innovation and IP leadership, and provides additional barriers to competitors who might want to emulate its tech capability. The scope of the patent is broad, encompassing 29 approved features, including the manufacturing process and root zone heating and cooling ground-source heat-exchange systems. The patent titled Heat delivery system and method (WO 2015/155763, application number AU 2015246007) relates to a multi-purpose ‘smart pipe’ system, which diffuses heat or cold only directly at a plant's root zone level, rather than between plants, where pipe system segments are insulated. The pipe, at alternating pressures, can also act as an emitter of fluids (water or fertigation) at root zone level. In a single pipe system, these features will save farmers considerable expenditure as they negate the need for separate root zone heating and cooling pipes and drip irrigation pipes. The Australian patent runs until April 2035, and provides a precedent for other countries such as Israel, China, United States, South Korea and Spain, where Roots has also filed patents as part of local operations. ROO CEO and co-inventor, Dr. Sharon Devir, said: “The granting of this patent is significant for the company as it solidifies Roots’ innovation and intellectual property leadership in root zone temperature management. Through successful pilots on several crops in different countries, we have proven that our unique RZTO technology can substantially increase crop quality and yield, mitigate extreme heat or cold stress and improve farm efficiency through quicker crop rotations while using less energy than other irrigation systems and making optimal use of available water." “This patent also ensures Roots’ competitors who may wish to emulate this disruptive technology with an additional barrier for entry, delaying and obstructing their plans to enter the root zone heating and cooling sector with anything like our advanced system that offers so much value to farmers in several countries," Devir added. The smart pipe is developed and manufactured exclusively through a joint venture arrangement between Roots and WFI — a leading Israeli plastic extrusion manufacturer that specialises in advanced technology applications in the construction industry. Devir said that the addition of the smart pipe system will enable farmers who use underground drip irrigation to save money, as they no longer need multiple pipe systems to drip irrigate or heat or cool crop root zones. The smart pipes also reduce energy loss between plants and optimise the RZTO system's overall energy use. Earlier this month, ROO secured the first sale of its RZTO heating and cooling technology in the blossoming medicinal cannabis market. This follows on from promising interim proof-of-concept cooling results on medicinal marijuana planted in greenhouses during July, where cooled plants achieved a substantial increase in size and stem diameter compared to control crops in just two months.